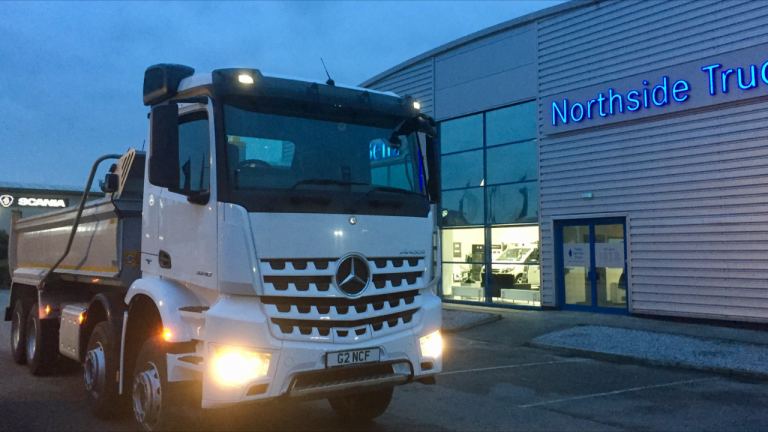 Nationwide Concrete Flooring part of the Nationwide Diamond Group take delivery of its New Mercedes tipper. This new addition to the ever growing fleet has been purchased to cope with increased demand in our clients increasing trend to stay and upgrade their internal concrete floors and external hard-standings. The latest investment although currently un-sign written will be wrapped in our usual Union Jack colours and sent straight out to work, clearing tons of removed and broken out concrete, speeding the removal process and keeping disruption to a minimum. For a free initial visit and quotation please contact Nationwide via sales@nd-group.com or 01405 704722 for all your Industrial Concrete flooring needs.